A good piece of music is not a page with notes hanging in a museum, it’s music you come back to ten years later and love it just as much as you did when you first heard it, whether it’s a classic piece by O’Carolan, or a piece in the Celtic tradition. Quite simply, these are beautiful arrangements of Celtic Music that you will keep you coming back. 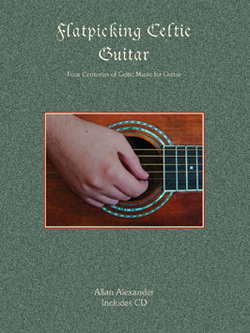 So if you love playing the guitar, and you are looking for music you will be playing for a lifetime, this is the book for you. With play-along CD.